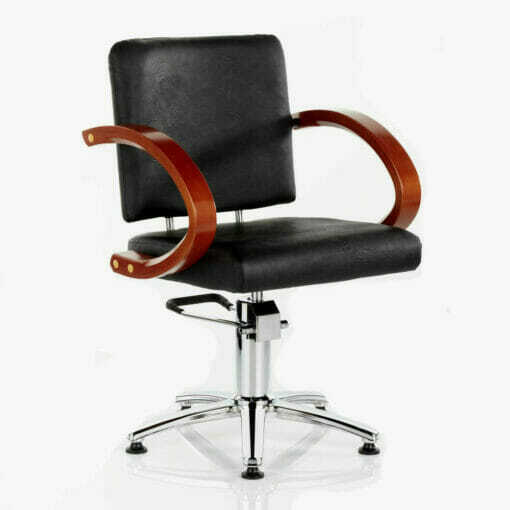 Classically designed salon chair with curved dark wood arms. 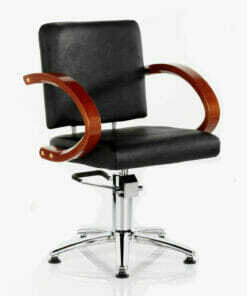 Classic designed professional salon chair. The Sahara Hydraulic Styling Chair features curved dark wood arms and a cushioned seat & backrest. Giving a great combination of style and comfort. All at an affordable price. Supplied on a chrome finished 5 Star hydraulic base. Which allows easy height adjustment using the foot pedal. And the locking mechanism stops any unwanted rotation during use. 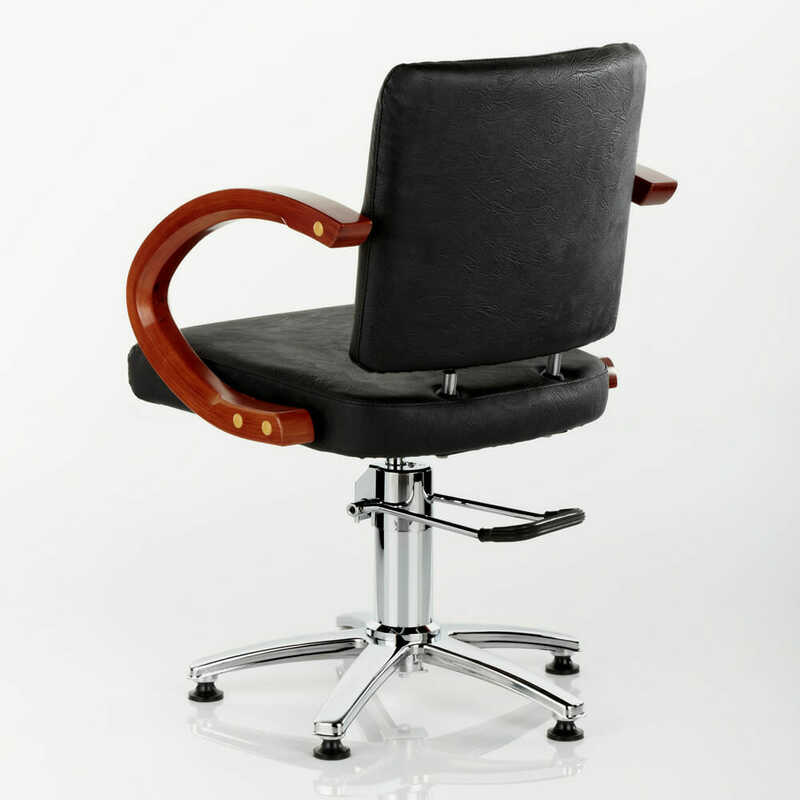 The Sahara Hydraulic Styling Chair is upholstered in black fabric only. Dimensions: Width 68cm, Height 48-62cm, Depth 76cm. A matching Wash Point is also available from the Sahara range. 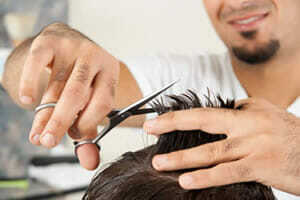 Giving you the chance to create a consistent design across your salon. 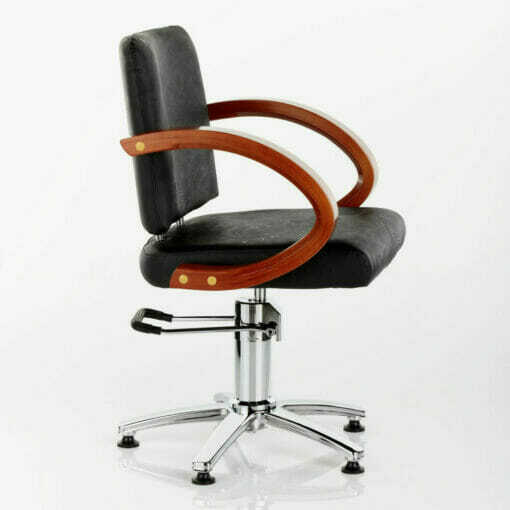 Sahara Hydraulic Styling Chair. Supplied on a 5 Star Base. In Black Upholstery. Professional Salon Chair. SC420.